Welcome to LondonCareers.net, a job board for candidates looking for jobs in London. LondonCareers.Net is one of the longest running London based job sites on the internet. It was established in 1997 and has over 11 years experience providing candidates and employment agencies with the tools they need to find or advertise that perfect London job! LondonCareers.net is a highly competitive recruitment website. 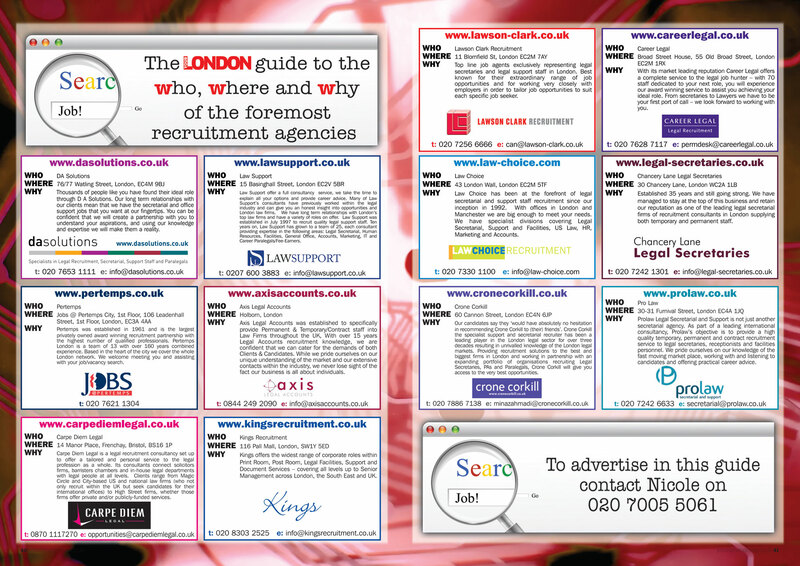 We advertise the latest job vacancies within London and the Home counties. Whether you are searching for a new job in a similar industry or a brand new career altogether LondonCareers.net can help you every step of the way. Our jobs-by-email service sends you the latest job postings matching your own specific search requirements straight to your inbox. So whatever job you're looking for LondonCareers.net will make sure you are the first to view the latest vacancies. If you’re a company or a recruitment agency looking to advertise jobs on LondonCareers.net our dedicated sales and technical team are here to make sure we provide the best support and advice to you whenever it’s needed. LondonCareers.net isn’t only suitable for people living in London and the Home Counties, it also benefits those who live anywhere in the UK or even abroad who are interested in working in London. For example, there is a large interest in the temp sector from people in Australia, New Zealand and South Africa. Because we own a number of regional newspapers in these countries, we are able to promote London Careers directly to this market. So what are you waiting for? LondonCareers.net is packed with thousands of London jobs so we're bound to have one that suits your requirments. We also update our site every day with new jobs in London - so if you can't find a job in London today make sure to come back tomorrow! Or let us do the searching for you by signing up to our jobs by email service or RSS feeds.